ESL Lesson Planning Resources Online | So, You Think You Can Teach ESL? 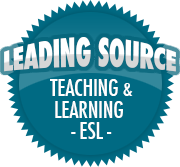 This site provides ideas for how to implement content based ESL curriculum to meet the needs of ESL students. It has an ESL teacher performing the tasks, but I think a mainstream teacher could do them as well.